Yard signs and business cards are important first impressions for buyers and sellers. 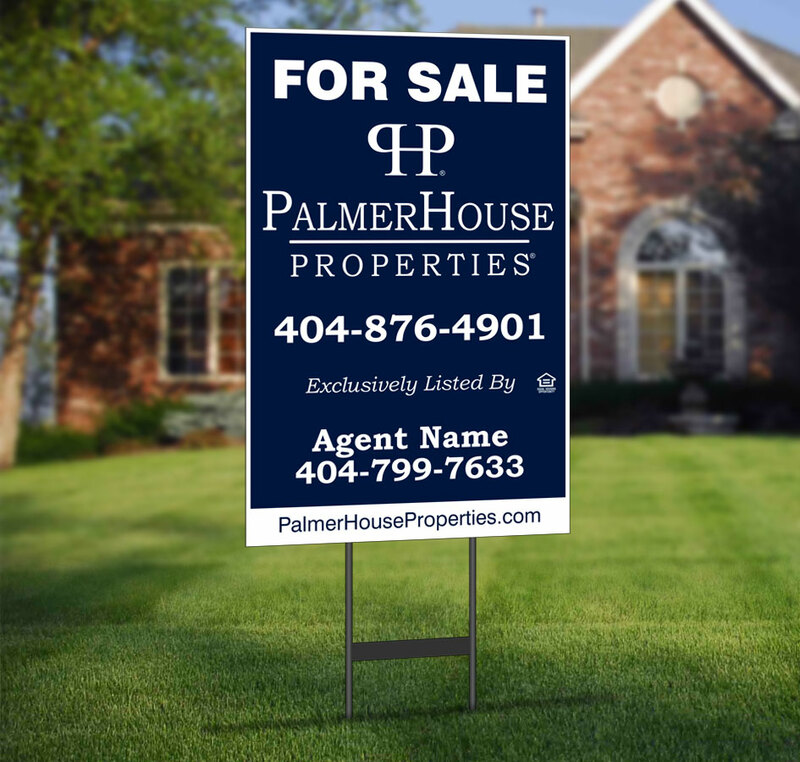 Quality signage and professional collateral marketing materials give your clients confidence that you’re affiliated with a superior property marketing agency. So, we don’t skimp on them! PalmerHouse Properties is delighted to offer complimentary high-quality, standard “For Sale” yard signs for a minimal deposit (see photo #1 below) which is refunded when the sign is returned. If you choose to buy the sign, you benefit from our high-volume purchase costs. We don’t “up-charge” for signs like some companies. Of course, agents do pay for the “agent name and number” decals that are applied to the standard yard signs. Naturally, “Directional”, “Estate”, “Commercial”, and “Custom” signs are at the agent’s expense. 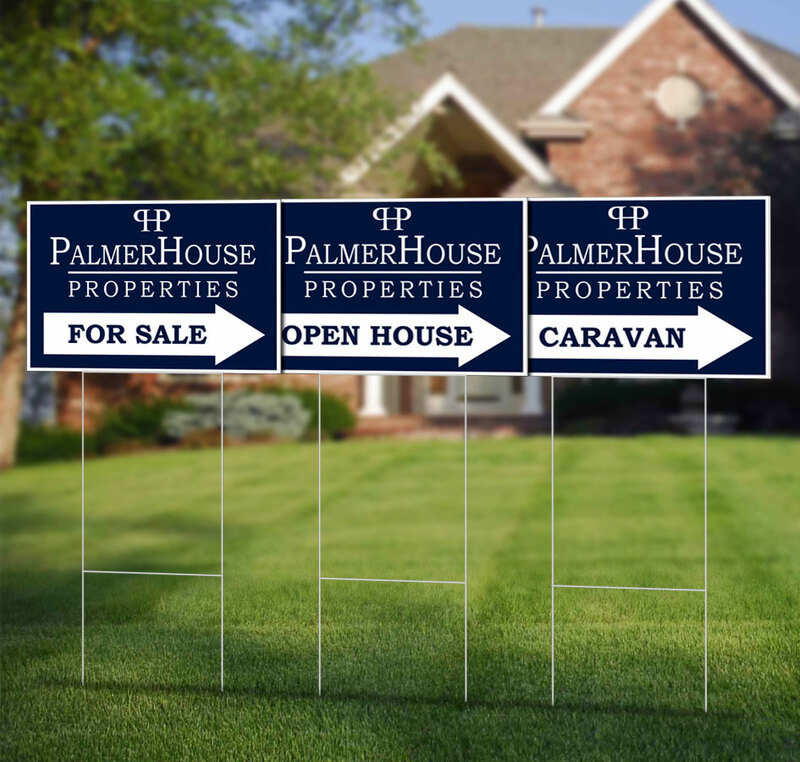 PalmerHouse specialty signs such as “Caravan” and “Open House” signs are also offered at cost. 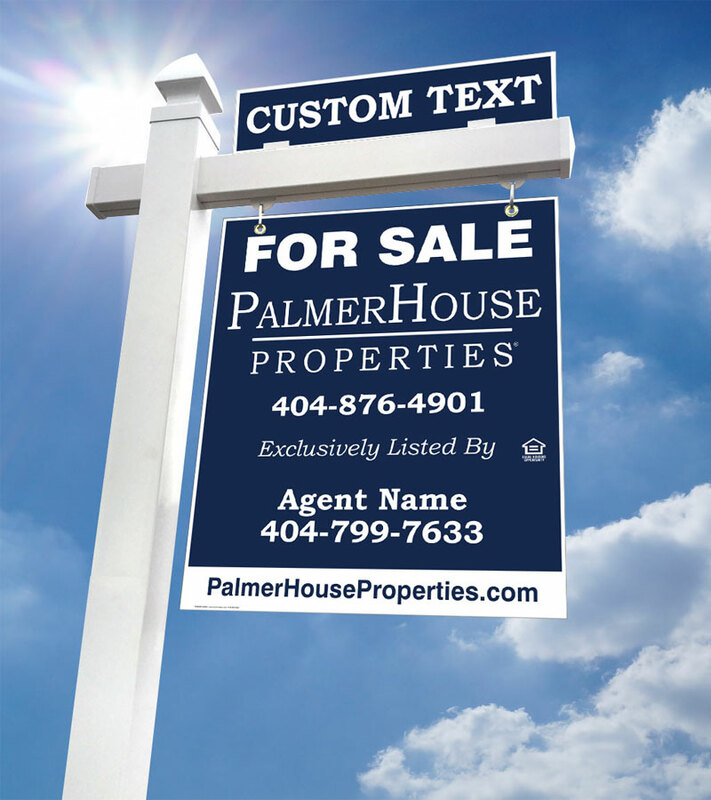 Agents can order custom yard signs through our Farmer – PalmerHouse Portal. Our quality yard signs are manufactured by Farmer Signs, the Region’s leading real estate sign fabricator. Farmer produces signs for many other leading area brokers. Our signs and marketing materials will represent you and your clients professionally.